He and his wife, Nell, reside in Hazleton. They have two children, Lt. Gregory Saul, USN, and Mrs. Janet Curilla. Outstanding football star at Pittston, went on to continue his career at the University of Georgia. 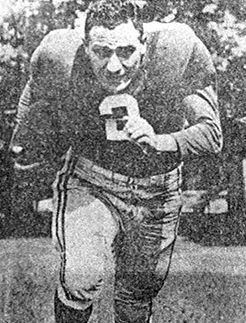 Was an All-American and won the Maxwell and Walter Camp Trophies in 1946 as college football’s Most Valuable Player. He was an All-Pro with the NFL Chicago Cardinals and in 1947 led them to the World Title in his first season. A member of Pro Football’s Hall of Fame.